It's funny how music can affect you. 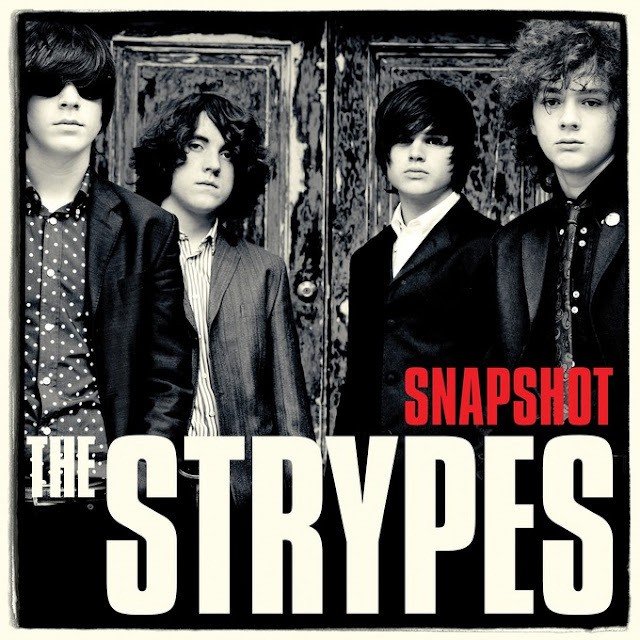 When The Strypes first came on to my radar I brushed them off as something that didn't really appeal to my tastes. I even had the chance to see them supporting the Courteeners recently at their Castlefield Bowl performance. Instead I opted to drink beer behind an ice cream van whilst I awaited Miles Kane to take to the stage. Since then, and the more and more their music has began to treacle in to my life, I realise what a mistake I first made. The final nail in my own hypothetical coffin came last night when Radio 1 DJ's Phil and Alice dropped What A Shame. A fast paced, incredibly fun track that got me quite the odd look from a passer by as I nodded my head furiously in the car at the lights. So undeniably infectious. Now I don't like to bring typical stereotypes in to my reviews nor refer to a bands age as I prefer to let the music do the talking but when listening to The Strypes it's far too easy to forget that these guys are only 16-17 years old. From the maturity displayed in their playing abilities they go years beyond the hard faced fact that they're not even old enough to buy a pint, legally. One thing's for sure, this teenage foursome from Ireland have progressed far beyond their debut ‘Young, Gifted & Blue’ EP of vintage R&B covers bringing to the surface a profound and compelling record. Now there's no denying there's a slight novelty surrounding the band with their strong blues influence, suited and booted-mop hair image and young age, it's unavoidable, but all is quickly forgotten when you realise just how talented these guys are, finely demonstrated as the album kicks off with Mystery Man. Fulled by frantic short-burst guitar riffs it delivers everything the band stand far as they pack in all their youthful vigour for one energetic jam with some nice harmonica thrown in for good measure. And there's really no letting up before you're hurtled in to the skippy percussion and unique lyrical delivery of Blue Collar Jane. Track after track the energy continues to ascend. "Because she float like a bee but she sting like a butterfly" cries lead singer Ross Farrelly on She's So Fine, a jangly rhythm kicker with a definitive sting in its tail. If the guitars in this don't make you smile from ear to ear then you're most definitely in the wrong game. Even the slower songs on the album such as Angel Eyes carry forceful and overwhelming melodies to tackle you to the ground leaving you gasping for air. 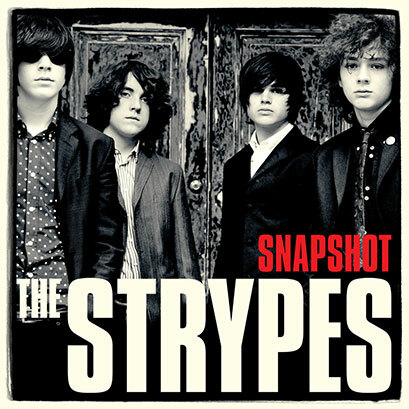 Percolated with an array of musical genres, namely 60s British Blues-Rock, The Strypes form a promising image for new and emerging talent listing influences such as The Rolling Stones, Jimmy Reed, The Ramones, Muddy Waters and Jerry Lee Lewis, it only makes sense that their music encapsulates this. A sublime debut filled with character and style 'Snapshot' proves to be a guitar album you definitely won't want to overlook. Checking in at just 36 minutes long I weren't lying when I said their music was fast paced but despite this I'm sure the band will use it as a giant springboard to even further themselves as they settle down in their very own niche. 'Snapshot' is available to buy from September 9th 2013 released via Virgin EMI Records.